The Three Muses asked for DANCERS and here it is what my muse have asked for. 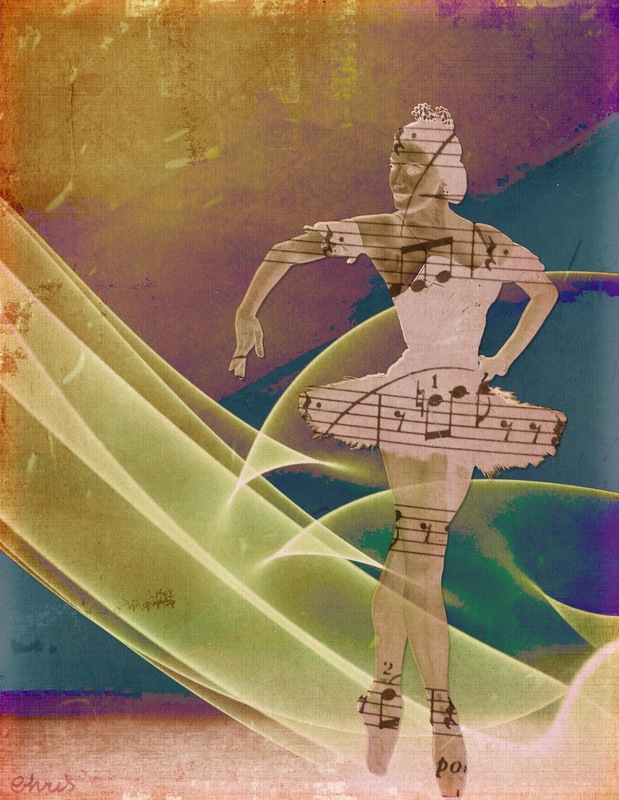 Dancer: Alicia Alonso; music sheet: Studio Manu; texture: Kim Klassen. I'm posting "Dancing to The Music I" too, which I've done for Digitalmania. 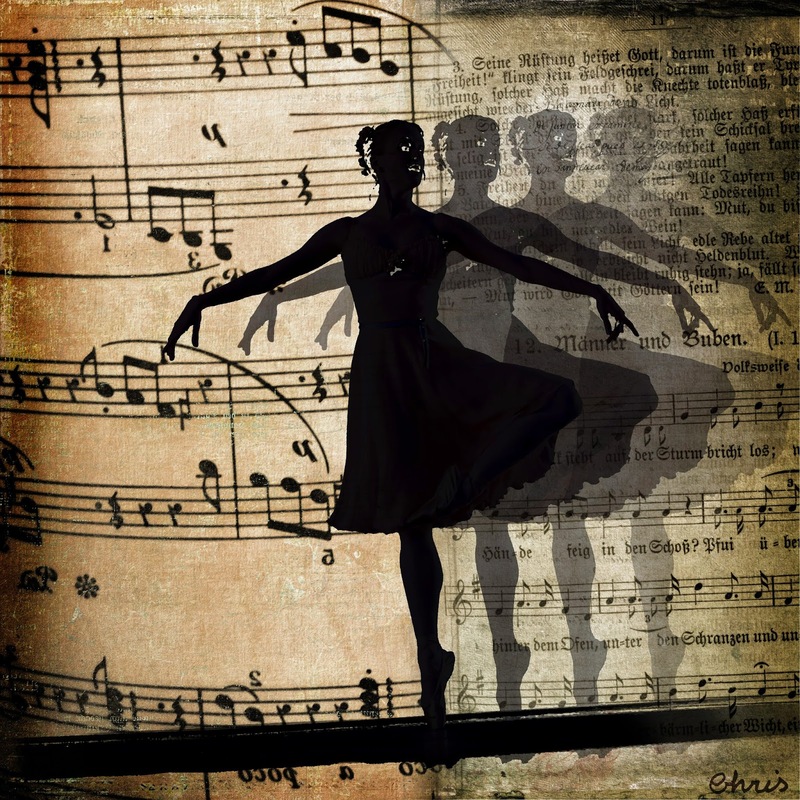 Background: combination of papers by Studio Manu; dancer: Gillian Murphy. Beautiful work, Christine. Both are fabulous. i really love both! the shadowing on the second one is very appealing! Both are splendid pieces, Christine, like Johanna, I love the shadowing too! Both are pure beauties and powerful achievements, but the first one is really special, elegant and fascinating Chris! Two beautiful pieces, Christine! Love the backgrounds and shadowing. Two beautiful pieces Chris. I am going way the opposite with mine It seems. HA! I thought when I saw the dance piece at DM that it would fit here as well. Glad you posted it. I love the silhouette and the way you created a sense of movement in the background, Chris. Both pieces are great !! Well done. Both of these are beautiful! I love watching ballet.